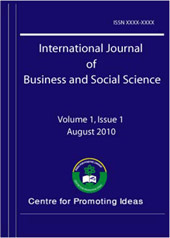 The aim of this paper is to investigate the relationship between employees’ income level and employees’ job satisfaction. For this purpose, an empirical study was conducted in a British company. The results of the empirical study show that there is a significant relationship between employees’ income level and employees’ job satisfaction. Although the study found the possibility that job satisfaction and employees’ income levels are related to each other, it did not analyze the direction of the causality.